You can feel it can, can’t you? The weather's warmer, the clothes are smaller, and beach days are just around the corner. 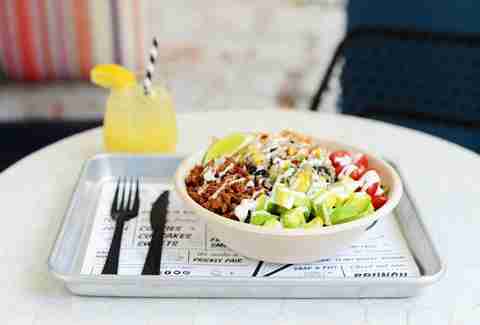 But while the working out part is up to you (sorry), we decided to do you a solid and put together nine NYC spots serving up healthy eats that are actually, truly delicious. No boring boiled chicken, no gluten-free bread that tastes like cardboard. 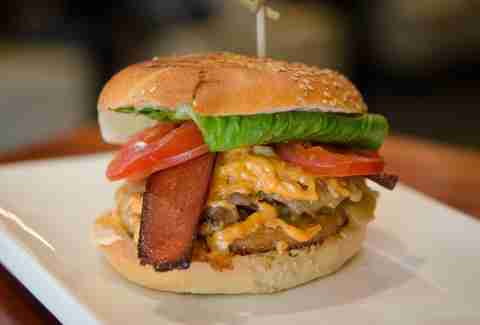 We’re talking actually great places to get your eat on, without any of that pesky guilt. The poké trend is hotter than ever, which is exactly why you need to be grabbing lunch at Pokéworks. 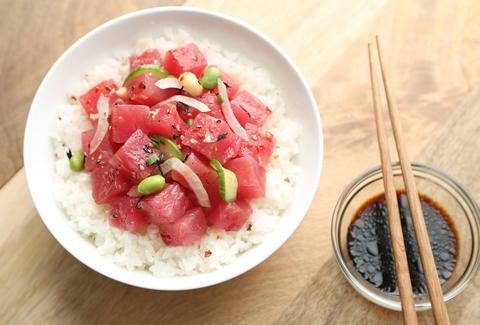 Poké -- a traditional Hawaiian dish where chunks of tuna are marinated in soy and sesame -- delivers flavorful, protein-dense nutrition that tastes just like summer. 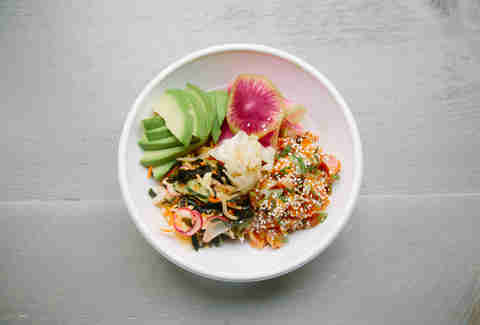 Not only does Pokéworks’ menu of bowls (rice or lettuce) and burritos feature only sustainably sourced fish, the traditional poké concept is also expanded into salmon, chicken, and tofu, making it an appealing choice for pretty much anyone. Order the Hawaiian Classic bowl with ahi tuna and green and sweet onion; the Spicy Ponzu bowl with seared albacore and mango; or build your own burrito with customizable options for your meat, rice, wrap, and mix-ins like edamame, avocado, and wonton crisps. Sure, farm-to-table eating is nothing new. But at Foragers Table -- an under-the-radar Chelsea hotspot that sources locally from a farm in Canaan, NY -- the concept still feels fresh. Boasting meats that are antibiotic and hormone free, fish that’s sustainably sourced, and certified organic veggies, this is exactly the kind of restaurant your clean-eating routine needs. Dig in at dinnertime for farm-fresh deviled eggs and Berkshire pork chop with Hudson Valley polenta, or swing by at brunch to feast on super-green egg-white omelettes loaded with asparagus, broccoli, and wok greens, or orange blossom ricotta pancakes with Ioka Valley farm-fresh maple syrup. A pioneer of vegan fine-dining, Avant Garden isn’t just committed to an animal-free lifestyle, it’s proving that vegan cuisine can be a sophisticated, elevated experience. Gorgeous plating is the centerpiece of Avant’s menu that includes whipped tofu toasts with harissa and tarragon, baked sweet potato with Meyer lemon and jalapeño, and kale panzanella salad. But beyond the delicious eats and impressive presentation, the warm, rustic environment is simply a pleasure to hang out in, so be sure to linger over a glass of natural wine. Stop by its sister bar, Mother of Pearl, after for a cocktail (and some more vegan bites). 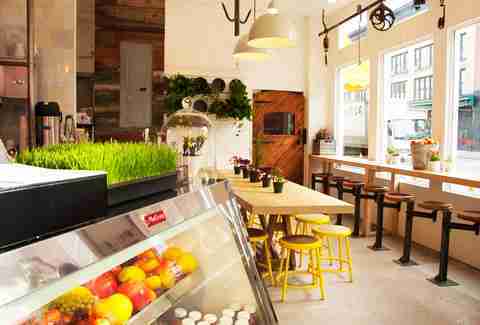 This gluten-free mecca isn’t just for the wheat intolerant, it’s for anyone looking for accessible, wholesome food. An array of salads, plates, bowls, and rolls populate the simplistic menu where proteins, complex grains, and organic veggies mix seamlessly into a variety of guilt-free eats. Try the Caesar Cardini salad with chickpeas and sunflower seeds, build a protein plate with any number of daily, farm-fresh toppings, or tuck into The Little Beet bowl with beets, quinoa, goat cheese, and chicken -- it’s all damn tasty. And for something a bit more adventurous, we recommend one of their expertly prepared rolls, the highlight being the delicate, nori-wrapped banh mi with chicken, chipotle aioli, scallions, brown rice, and a side of ponzu sauce. You’ve heard about it, you’ve read about it, and you’ve definitely seen it on Instagram -- Beyond Sushi is everywhere these days, and for good reason. 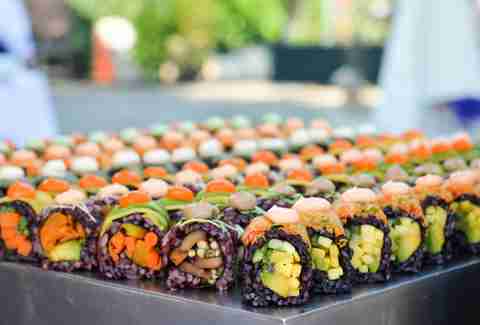 This plant-based eatery is turning sushi on its head, delivering exclusively veggie- and fruit-based rolls that are as healthy as they are unconventional. Nosh on any number of tasty selections like the Spicy Mang roll with black rice, avocado, and mango; the Sweet Angel wrap with buckwheat noodles, sweet potato, and kimchi sauce; or the sizable Verde salad with seaweed, sliced nori, avocado, and cashews. Originating in Chelsea, Blossom has quickly expanded into three brick & mortars, multiple fast-casual outposts, and even a bakery. And if that lightening-quick expansion isn’t enough to convince you that their vegan fare is off-the-chain, then the food certainly will. Dedicated to locally sourced, 100% animal-free ingredients, Blossom delivers tasty Italian-inspired eats like mushroom calamari with spicy arrabbiata sauce, cashew cream ravioli with smoked tempeh, and a tapioca cheese lasagna with roasted eggplant and tofu marinara. The prices are reasonable, too, with most entrees priced around $20. The Butcher’s Daughter is all about treating veggies like meat -- they chop ‘em, fillet ‘em, and carve ‘em into healthy vegetarian dishes that you can’t help but get obsessed with. Originally started in LA before expanding to NYC, this neighborhood joint delivers friendly service and wholesome nutrition in perfect harmony, with a locally sustained menu available all day long. Start with avocado toast and fresh-squeezed juices for breakfast, opt for a watermelon and cashew ricotta salad or vegan grilled cheese for lunch, and finish up with ground tempeh tacos or black-bean bolognese for dinner. A West Village location is coming soon. Creating a vegan restaurant that’s appealing to vegans and non-vegans alike is no small feat, but that's exactly what's been achieved at fast-casual nook by CHLOE. 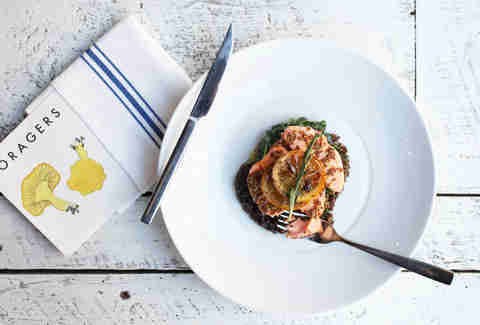 The brainchild of partners Chloe Coscarelli (vegan chef) and Samantha Wasser (creative director at ESquared Hospitality), by CHLOE makes vegan food not just accessible, but palatable to the non-vegan masses. Aiming to deliver vegan eats that are fast, fresh, and affordable, the menu is stacked with drool-worthy options like quinoa tacos with spicy seitan chorizo, black bean burgers smothered in guac and chipotle aioli, and a mac & cheese with a sweet potato + cashew cheese sauce that will make you rethink everything you know about regular mac & cheese. And if the savory stuff isn’t enough, there’s also tons of dairy-free ice cream, cupcakes, and pastries to choose from. 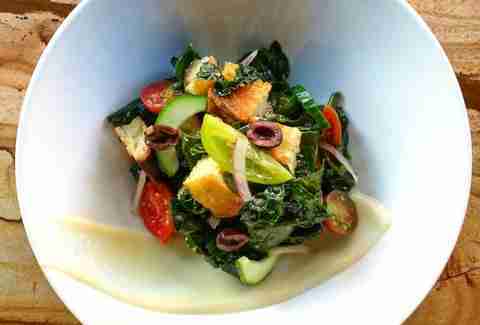 When a Michelin-starred chef opens a vegetarian restaurant, it's best to pay attention. Such is the case with village newcomer Nix, the latest outpost from Chef John Fraser of Narcissa and Dovetail. 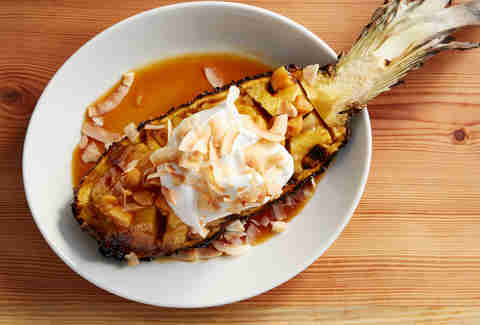 Focused on delivering affordable, seasonal dishes, Nix predominantly sources from the Union Square Greenmarket for its massive veggie-based menu that’s overflowing with delicious and inventive combinations. Enjoy pillowy tandoor bread dipped into spiced eggplant with cilantro and cottage cheese with broccoli pesto before digging into larger fare like wok-roasted veggies with goat cheese, cauliflower tempura with steamed buns, and overnight clay-oven beets with cashews and silken tofu. And for something just a touch less healthy? There’s a formidable list of cocktails to wash it all down with, like the Honey Bee with Thai basil, clover honey, gin, and sake. Christine Fischer is a freelance writer for Thrillist who follows a strict diet that's 40% vegan, 60% pizza. Follow her on her website, Facebook, or Instagram.